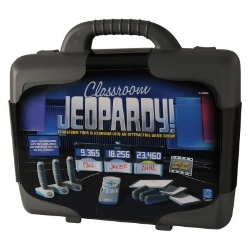 I was contacted by Educational Insights and asked to review Classroom Jeopardy. This electronic version of the classic game is engaging for our high-tech students. My own two sons (4th & 6th grade) couldn't wait to take it home and set it up. 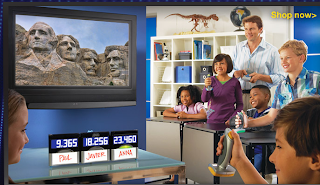 They were able to figure out how to hook it up to our T.V. by themselves although they were only able to get two of the scoreboards to work. 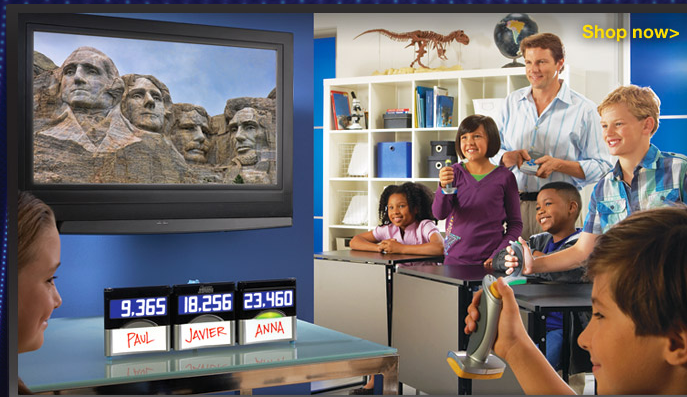 The game includes remotes to buzz in and even white board paddles to write down your wager. It came with a USB stick with sample games on it. The questions were geared more for upper elementary so my sons had fun but I couldn't see my first graders using it. I understand that you can write your own questions and they even have a site for teachers to share the ones they have made. I so wanted to make questions around our insect unit and use it with my first graders but the end of the year was just too crazy. 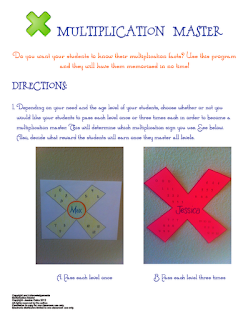 My friend Jennifer did me a favor though and tested it in a classroom with her 4th graders. She said they loved it and were even asking to stay in at recess to keep playing! This game comes in a large, sturdy case so I decided to put it in our staff room and share it. Maybe you can get your principal or PTO to buy it as a shared resource for your site? I also wanted to let my upper-grade readers know that my friend Jessica recently posted a TpT item that I think you will want to check out. The idea is similar to my Sight Word Superstars program that I've posted about before in that it gives a systematic way to track and encourage your students to learn their facts. The upper grade teachers at our school got together and decided that although multiplication is taught in 3rd grade it would be 4th grade where they were expected to master it. The 5th grade passed the Big Blue G (a multiplication competition in which the winning class gets- you guessed it, the coveted Big Blue G) down to 4th grade 2 years ago. The winning class now gets to redecorate the large wooden G and hang it proudly in their classroom (not sure why it is a G, I think it was just a weird thing that was lying around that became a joke.) The bragging rights are HUGE! Jessica's class has now won 2 years in a row! 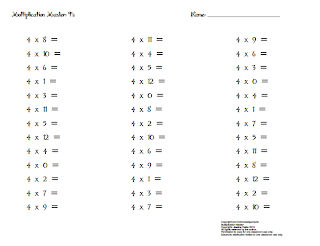 So if you are looking for a way to improve multiplication mastery just click HERE to go check her ideas out. I'd like to say I am enjoying my summer but my first week was spent in PD on Common Core ELA. :-( No sun or fun for me. Next week is the same but the focus is math. 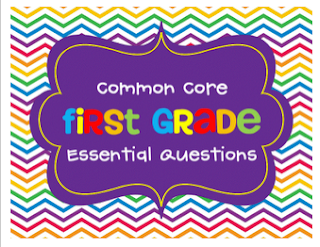 Since I seem to be promoting others today, I thought I'd share that my fellow 1st grade teachers at the PD loved Anna Brantley's Common Core Essential Questions posters. I haven't bought them yet so I don't have great pics but they look like they would be helpful and are cute so I thought I give her a shout out! 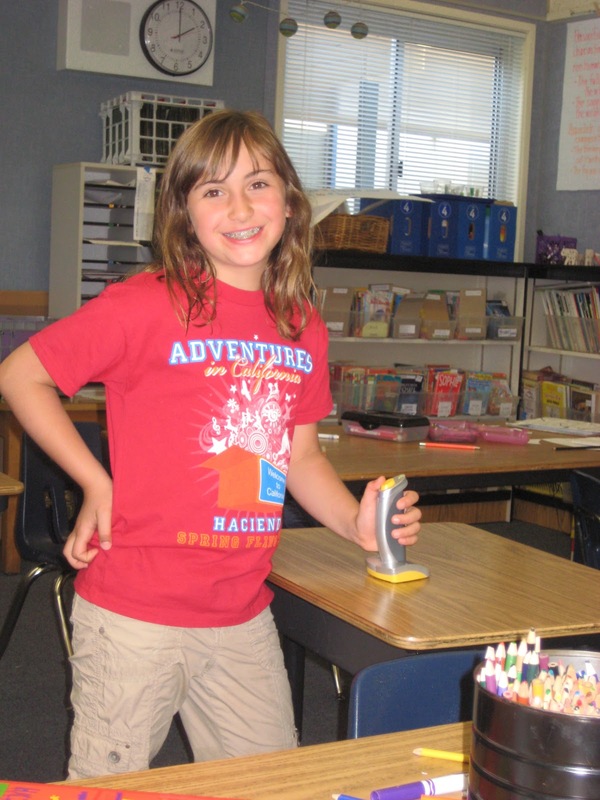 This brought up the world of TpT and blogging and my coach spoke up and outed me! (Thanks a lot, Carmen!) :-) I guess it is fine that people in my district know that I blog, it is just new to talk to someone about it face to face! :-) Anyway, I have lots of common core ideas floating around so I will post about some of that next time! Enjoy the sun for me! Hi Jenn, The Jeopardy Game looks great, i am going to go check it our now. I know how you feel! I Just got back from Solution Trees PLC 's At Work Conference. I to am now back working on presenting the information I learned and trying to establish teacher buy in.